The fruits of the land to be more accessible for those who choose. Veganism may be the new trend, and a lifestyle synonymous with Generation Z, but with limited options at the best of times, students have struggled in the past to find the right foods to match their diet. DCU’s nubar is known for its mouth-watering goujons, while the canteen is renowned for its delicious roast dinners that rival mammy’s Sunday best. However, all of these cult classics don’t leave much room for students who are vegan. It seems that vegan students don’t have the luxury of endless choices for breakfast, lunch and dinner while in university. 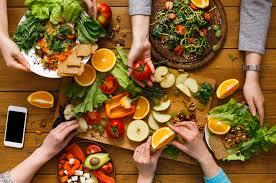 However, since the diet has gained more momentum, due in part to social media influencers such as Roz Purcell and Rosanna Davidson, there has been more options available to restrictive diets. DCU is starting to cater for vegan diets, according to the Chairperson of the Vegain Society, Kate Sutherland. “I think [the canteen is] making – I don’t know if it’s conscious – but more of an effort to make a vegan option available for students,” she says. Sutherland said that she was able to eat a meal in the canteen every single day during week four of semester two, an indulgence that has not previously been known to vegan students. “There are some times that I have to have only chips, and that’s not preferable, but it’s becoming less frequent,” she said. Sutherland said now that students are becoming more open to alternative ways of living she hopes that DCU will implement a meatless Monday initiative as a way of reducing the university’s environmental footprint, as well making the vegan and vegetarian movement more mainstream. Secretary for the Vegain Society, Mary-Liz McGrath, said that: “DCU are aware of the need to cater for more [different groups of] people”. McGrath said simple changes such as replacing the milk in the mashed potatoes with plant milk would mean that more students would be able to eat the staple dishes offered by the canteen. “Its nice to see them introducing more options because that will make life easier,” she said. The Vegain Society in DCU was founded in September 2017 and is open to all students, even meat eaters. “I didn’t want any vegan propaganda, or anyone going out doing horrible protests”, Sutherland said. Unlike other vegan-centred groups, the DCU Vegain Society welcome all people who are curious about living a plant-based lifestyle, no matter what they have on their plate for lunch. The word “vegan” was created in 1944 by Donald Watson but it is becoming increasingly prevalent year on year. DCU isn’t the only place that is beginning to cater for vegans. There are many options popping up in the city centre such as The Happy Pear, Cornucopia and Saba. It’s all about progressing and the food industry is definitely progressing as the years go on.